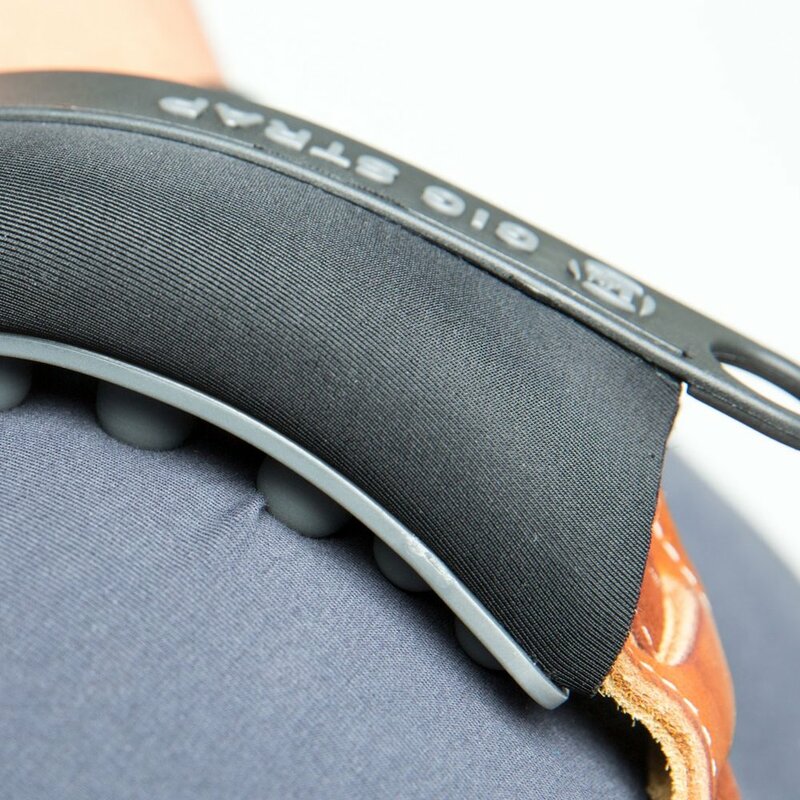 The Gig Strap is a complete game changer that will save your neck and your back! It is meticulously designed to assist in the relief of the pain and aching that can manifest from hours of a heavy instrument resting on your shoulder. It also acts as a preventative to any of those symptoms that countless guitarists and bassist face. Dual-layers of custom-designed TPE studs of various degrees of hardness keep your shoulder pain-free and your instrument firmly in place. Gig Strap comes in two sizes – fits for standard (2” to 2.5”) and wide straps (3” to 3.5”). Gig Strap fastens easily and firmly to any strap, using ultra-high-grade injection-molded Velcro that has much better locking characteristics than the type you find on e.g. sneakers, bags and tents. The rings on either end of the Gig Strap are not just there to flash your favorite key hanger. They allow you to easily adjust the Gig Strap in either direction on the fly. We want Gig Strap to be a lasting benefit throughout your career. So, we built it for life, using only the best, safest and most reliable materials for their specific applications.